Becoming a household name on prime-time television seemed an impossible dream back in 1998, when 10-year-old Arabile’s mother was retrenched from her job. Money makes the world go round – and if eNCA viewers want to know what’s going on in the world of finance, they tune in to Arabile Gumede. Thanks to his masculine good looks the financial news has garnered a great deal of interest lately, but hunky Arabile got into hot water recently and it had nothing to do with money. The 25-year-old earned the wrong sort of publicity after a tweet in which he said it was ‘fine to be homophobic’. eNCA quickly pointed out that Arabile’s tweet violated the channel’s social media policy and anti-discriminatory stance, and he was forced to apologise to save the charmed career that began with an internship at CNBC Africa two years ago. Becoming a household name on primetime television seemed an impossible dream back in 1998, when 10-year-old Arabile’s mother was retrenched from her job – and the lights went out, literally, in their modest Vosloorus home. But learning responsibility and discipline at such a young age paid off when Arabile won a scholarship that paid for his secondary education. So Arabile cut his dreadlocks and changed the way he dressed to become “a guy who tells people how to use and save their money wisely”. 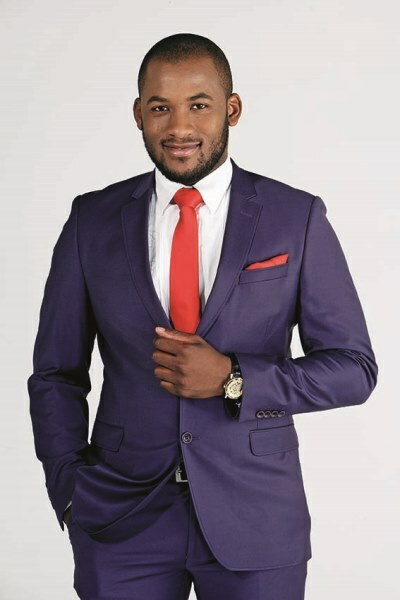 After graduating from the University of Johannesburg with a BComm in accounting he accepted an internship at CNBC Africa, where he rose swiftly to producer, reporter and junior anchor, then became a permanent anchor in 2013. But in February Arabile, who never studied journalism, found himself out of favour after his tweeting “I think it’s fine to be homophobic, but to imprison someone for life because of their sexual preference is quite hefty,” this was in response to Uganda’s new anti-homosexuality law. He tweeted an apology afterwards. “My apology was sincere but I think people misunderstood my point,” he tells Drum. “I don’t have any problem with gays and lesbians. I have friends who are homosexual and there is nothing wrong with that. Our constitution allows us to be who we are and it is okay to be homosexual, black or white, there is nothing wrong with that,” he stresses.